DShield has a project called the 404Project. The goal of the project is to track attackers looking to compromise web pages. To do this, they've started selling a Raspberry Pi Honeypot to hook into your network. The alternative, is to embed one of a selection of code snippets into your website's 404 error page. These honey pots track hits on the 404 page. Hackers generate these hits when scanning for vulnerable utilities common to various web hosts. When the 404Project detects these scans, it records the attacker's IP and uploads it to DShield. Cyber security shouldn’t cost you an arm and a leg, and we believe that every business should have the option to get high quality, affordable protection. 95% of malware attacks involve DNS, and you shouldn’t ever have to compromise your organization, career, or peace of mind -- Hackers are waiting for just that. Securing DNS is more important than ever before, and now more affordable than ever. 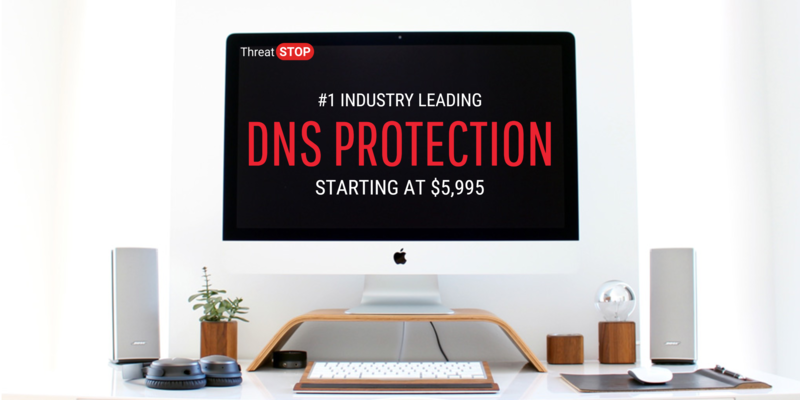 DNS is used in more than 95% of today’s malware attacks, and it only takes an hour to add ThreatSTOP’s DNS Defense to protect yours.